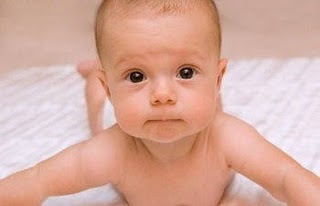 The skin of your baby needs special care to stay healthy and fine. Redness, peeling, dryness are signs that something is wrong. To avoid these problems, see the advice we offer to care for your children’s skin. 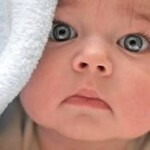 Why skin requires special care of my baby? The dermis of a newborn child is fragile and very thin. From birth and up to three years of life it continues to mature and develop. The pH is neutral (around 7), with an acid mantle that lets you keep in good condition and at the same time, protecting it from external aggressions such as urine, sweat or soap. Bath time is one of the key moments when the baby’s skin care and so we must ensure we are using the appropriate child care products required for each part of her small body. 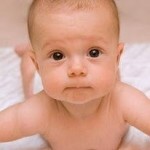 My baby’s skin is dry, red or scaly, what happens? Cradle cap, the diaper rash or atopic dermatitis are some of the conditions that may appear on the skin of your children. You should not alarm you, not serious if they get medical treatment. But remember, if you notice any symptoms the first thing you do is go to a dermatologist to prevent infection or other diseases. Change baby’s diaper frequently and apply a cream that protects it from urine, faeces and nappy. When bathing your child, or wash, use neutral gels and soaps only those parts of your body where folds form. Do not forget to dry thoroughly without rubbing, and moisturize. Use organic cotton clothing instead of wool. When you wash your clothes separately and do it with a mild detergent.